High-end Aeon J470 M3 JBOD delivers enterprise-class reliability, scalability and flexibility at very reasonable cost point. Ultra-dense 4U enclosure with 70 hot-swappable 3.5″ SAS HDD trays and high-availability design made for high-performance projects, server storage expansion, near-line storage or cluster applications. 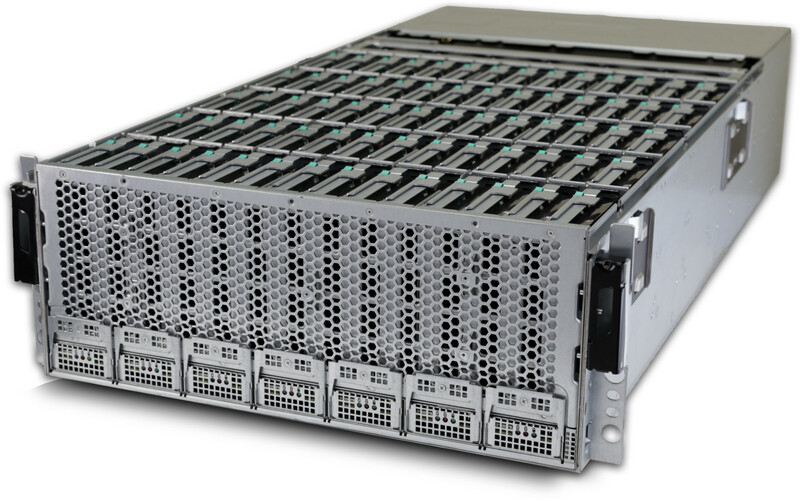 Aeon J470 M3 can house 3.5″ and 2.5″ drives thus enable tiered storage architectures with a mix of SSD, mission-critical and enterprise capacity SAS drives to meet the demand of today’s fast-moving storage challenges. Aeon J470 M3 can deliver 38.4 GB/s of bandwidth to hosts over eight external multi-lane SAS 12G ports, thanks to point-to-point SAS architecture. Such performance is necessary for any application with the high requirement for storage. Massive capacity, high availability and performance of Netberg Aeon J470 M3 are a perfect match to demanding business applications, Big Data, geospatial services and cloud applications. 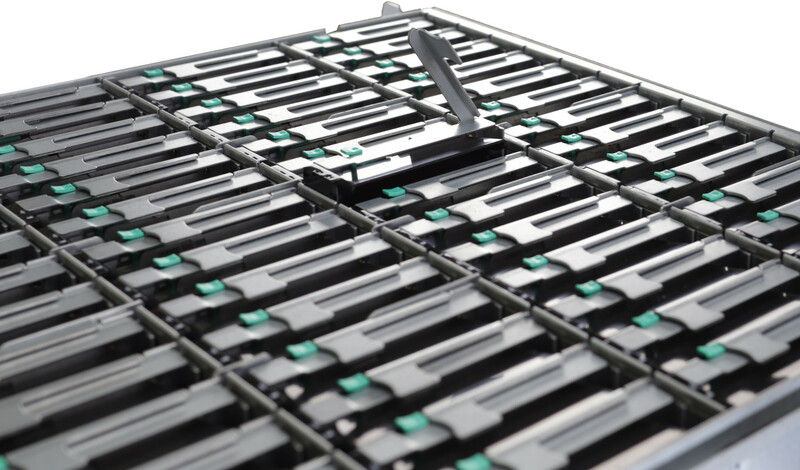 70 top-load HDD trays of Aeon J470 M3 could be expanded with second enclosure in daisy-chain for 140 drives total in a single storage domain. 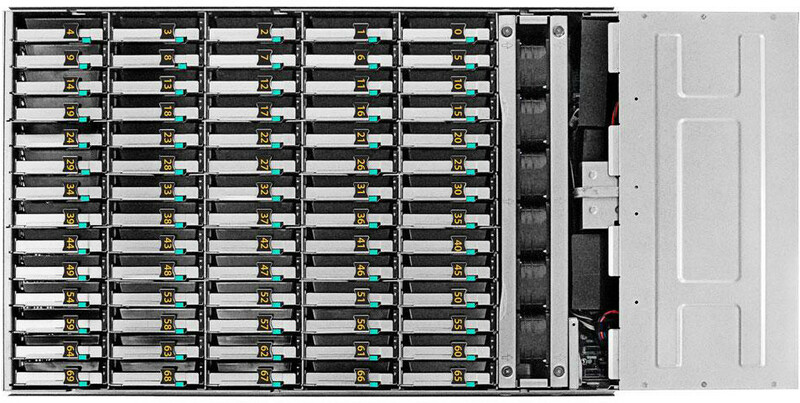 Total redundancy is backed by drive hot-swap, redundant hot-swappable power and dual SAS interface modules (SIM). Notification LEDs help to localize problem in seconds. With four SAS host ports per SIM, Aeon J470 M3 can serve as solid foundation for a scale-out cluster on Windows Storage Spaces or HA Linux.